Florida is a great place to own a boat. The boating options are seemingly limitless. Just like motorists, boaters must abide by certain rules and regulations, and exercise a degree of care in order to avoid causing an accident and catastrophic injuries on the water. If another boater's carelessness caused an accident in which you or a loved one was injured, then you may have a case to pursue compensation above and beyond any insurance company offer. To find out if you have a claim, please call The Kelleher Firm in Naples and Fort Myers at 833-546-3675. If you think you may have a boating claim, give our attorneys a call. 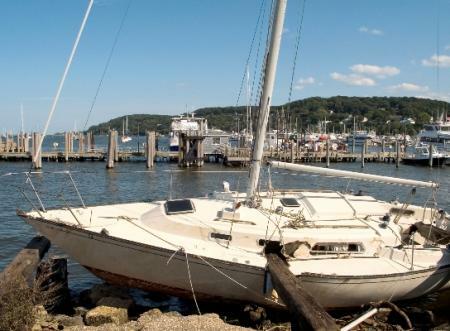 Depending on the location of the accident, there may be certain laws or rules that were broken by the boater who caused the accident. After discussing the accident with you, our attorneys can determine if you have a claim. If you do, and if you move forward with a claim handled by The Kelleher Firm, then we will get to the bottom of how the negligence resulted in the crash. And we will work to demonstrate this case to insurers, judges, juries or whoever else is involved. We will not rest until the best possible outcome has been reached. The attorneys at The Kelleher Firm are driven by obtaining great results for our clients. Jim Kelleher, our founder, and attorneys Frank Piazza and Ryan Kuhl have all attained AV Preeminent® peer ratings, which means they have been rated by their peers as exceeding the highest standards of professional conduct. We are proud to have earned these ratings and work by those standards every day. When you come to us for answers, we'll make sure you get clear and accurate answers and information. We want you to be able to make informed decisions about what to do next. Our fees are contingent. If we do not successfully recover compensation on your behalf, then we don't get paid. No recovery, no fee. Your consultations are free, so there is no additional financial burden to call us and see if you have a case. This can be a huge advantage to injured people who are dealing with expensive medical bills and lost income from being unable to work. To find out if you have a claim, please call The Kelleher Firm at 833-546-3675 or contact us online. Our Florida lawyers proudly fight on behalf of boat accident victims from Fort Myers, Naples and across the state.